3 1/2 Classic Bath Duck from Toysmith. This little yellow guy is an all-time favorite. 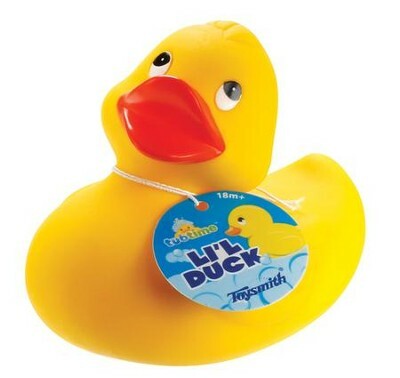 Made out of rubber, bath time ducky features a hole on the bottom that helps him squeak when you squeeze him. A great toy that will make kids love taking a bath. I'm the author/artist and I want to review Bath Duck.